Mike Getty was Paleontology Collections Manager and Chief Preparator at the Natural History Museum of Utah for nearly 15 years, from 1999 to 2013. During his time at the museum, Mike discovered and excavated thousands of important vertebrate fossils, many from Grand Staircase-Escalante National Monument, including several skeletons of his namesake, the horned dinosaur Utahceratops gettyi. Mike was passionate about teaching field, preparation, and collections management techniques to hundreds of students and volunteers all over the world. Mike’s sudden passing on September 11, 2017 was a major loss for the field of vertebrate paleontology. To honor Mike Getty’s wonderful legacy, the University would like to establish an endowment in his name. 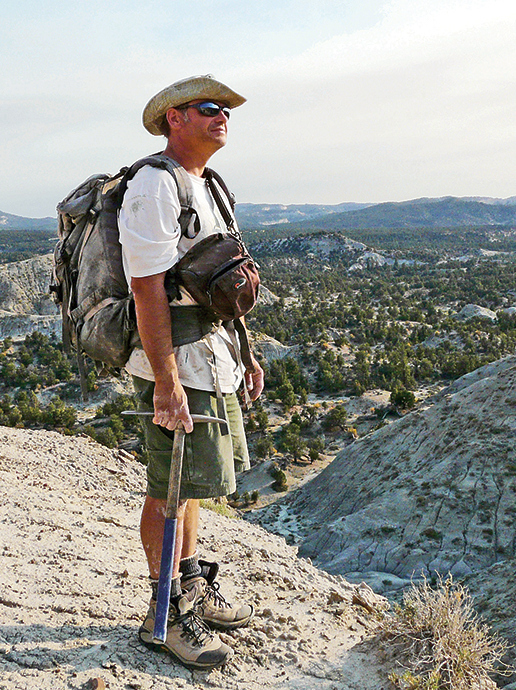 Your gift will help create the Mike Getty Vertebrate Paleontology Fund, which will be used to support vertebrate paleontology fieldwork and research at the Natural History Museum of Utah. An endowed fund at the University allows us to provide ongoing support and stability for the very type of fieldwork and research Mike was passionate about and allows the Natural History Museum of Utah to continue to achieve excellence in vertebrate paleontology. We would like to invite you to contribute to our efforts in honoring Mike Getty. The minimum amount needed to create this endowment is $25,000. In the event that we are unable to raise this by December 31, 2018, donations will be used to support paleontology fieldwork and research until funds have been exhausted. If you'd like to make a gift, you can do so online by clicking here (please indicate the gift is in memory of Mike) or by calling our Director of Philanthropy, Chris Eisenberg, at (801) 585-1437.